ProFactor Pharma Limited (PFP) is a UK based company formed in 2009 by Co-founders Professor J H McVey and Dr Ian Garner who have been working with rhFVIII for over 25 years. FVIII is a large, complex and inherently unstable protein, requiring particular skills and know-how in its handling and production. PFP has these skills. 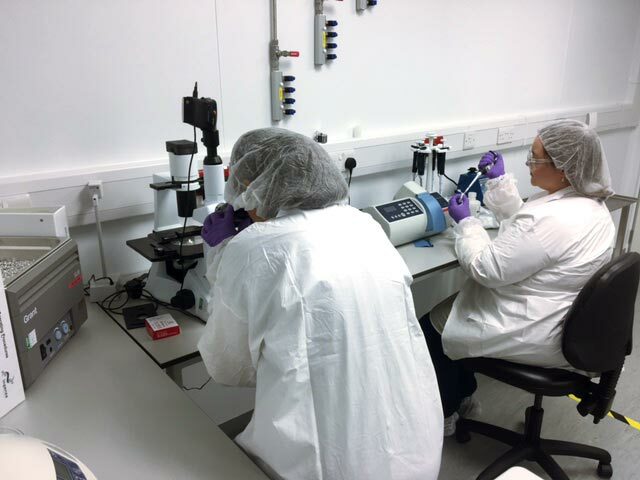 PFP has developed commercial, Good Manufacturing Practice (GMP) compatible rhFVIII producing cell-lines in our laboratories at the Roslin BioCentre near Edinburgh.